Are you getting excited about our August release party happening tomorrow?? The new stamps are really something special and I know you will love them!! I already put in an order for the entire collection!! That is how awesome they are. 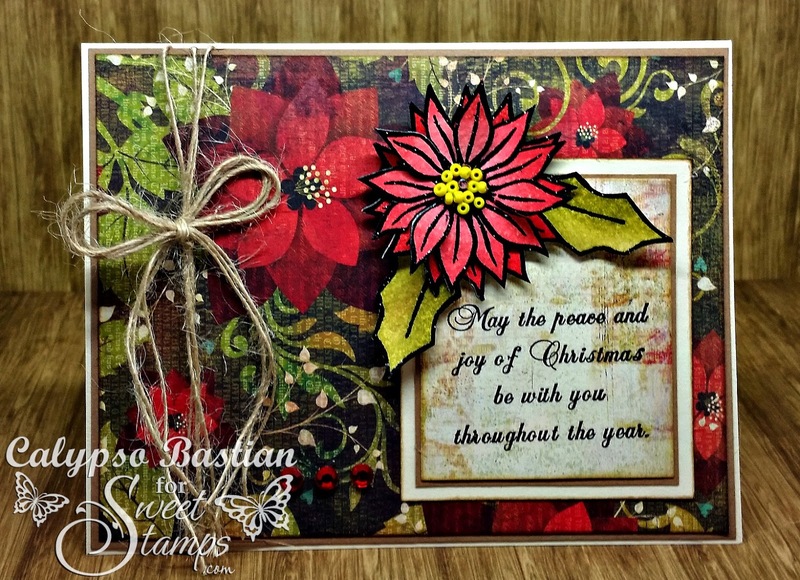 Well I am here today, to share the project I made for this weeks "Christmas Greenery" challenge. 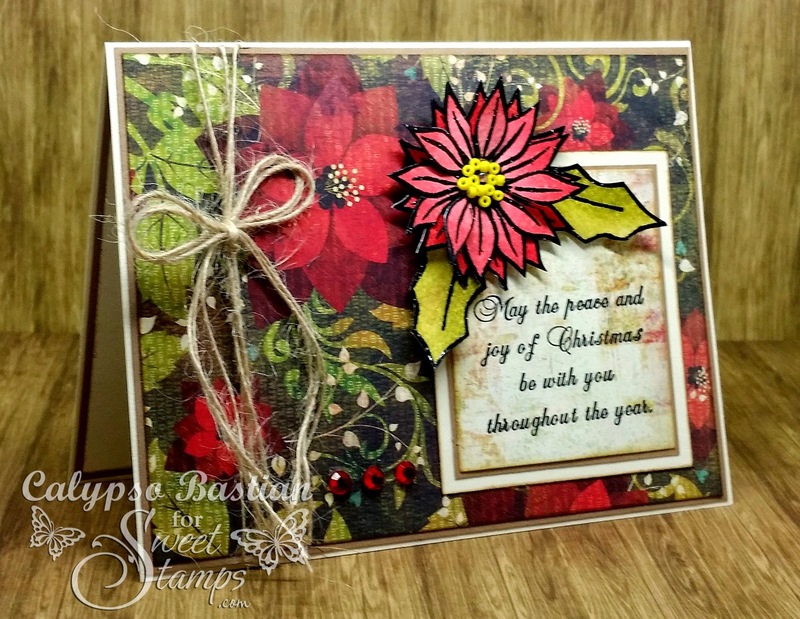 The Poinsettia Flower was stamped and embossed on watercolor paper. I used distress inks to the color the petals and leaf. I them trimmed each one out and layered it on top of one another. Creating a beautiful 3D flower. I added yellow beads to the center for even more dimension. Beautifully done as always...those beads are such a clever addition to your poinsettia! 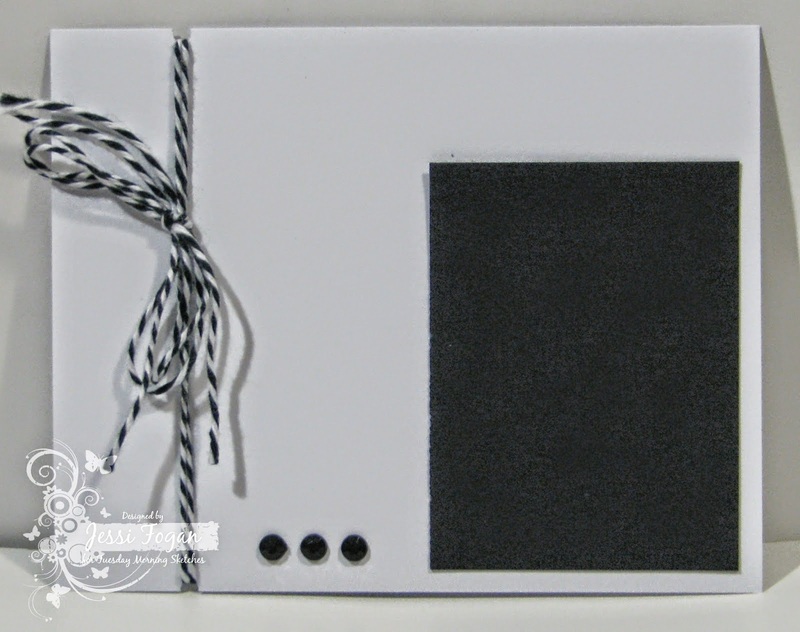 Love your coloring and simply cannot wait to see what you do with all those fun new designs coming out at SweetStamps! Have a beautiful day today! Beautiful card!! I love the layered and beaded flower! !